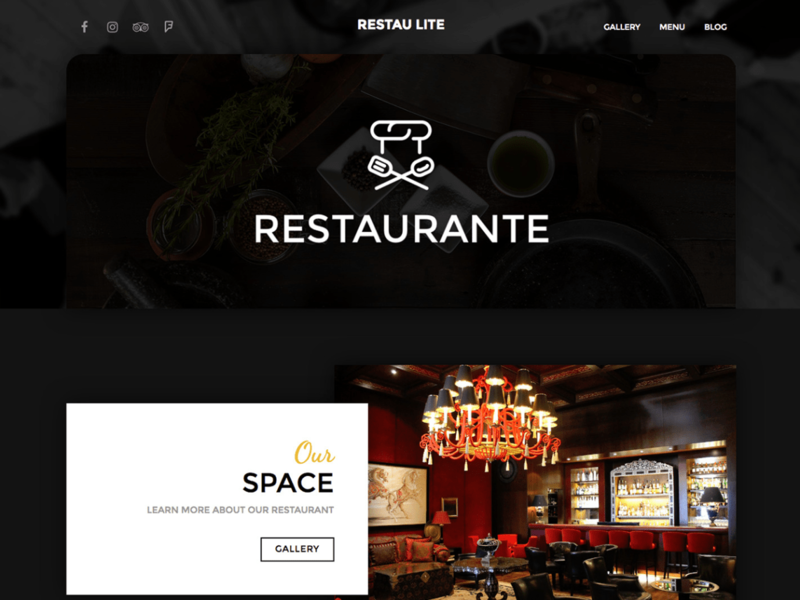 Are you a foodie or a restaurant owner looking to create a website? There’s no better way to reach your customer and share your knowledge then using the WordPress CMS platform. THE best content management system in the world today. Why is Worpdress the best? Well, it has a dashboard that even an amateur can figure out, plenty of plugins and add-on feature options and resources to help you navigate the system. 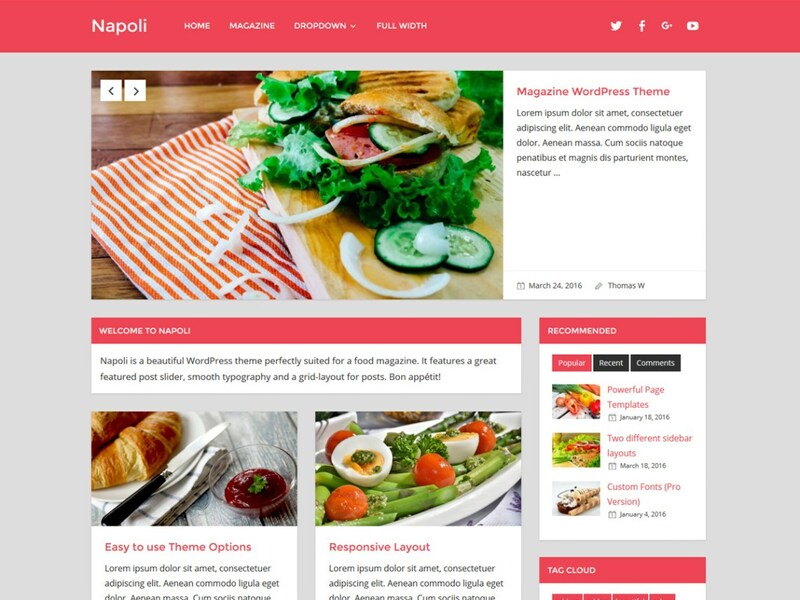 This week we’re looking at free wordpress templates for the restaurant owners, food bloggers, cafe owners, or caterers. With flexible layout and premium portfolio features this list is sure to strike a cord. A great platform to display images. So read on to see this weeks list of 10 Free Food & Drink WordPress Templates. If you have one you think worthy of the list please pass it along! The Food Restaurant WordPress Theme is a mobile-friendly WordPress theme which can be used for multipurpose food businesses such as restaurants, cafe, coffee shops, hotels, food joints, barbecues, grill houses, fast food restaurants, pizzerias, etc. 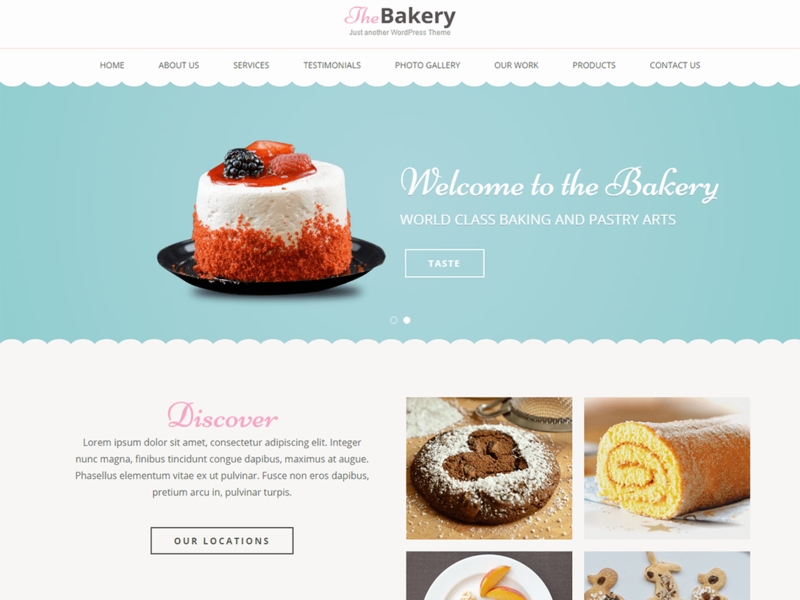 Also, It is helpful for the bloggers, food critics, bakers to make websites for bakery, cakes shop, eatery, Chinese dishes, cuisines, recipes, hospitality business and much more. 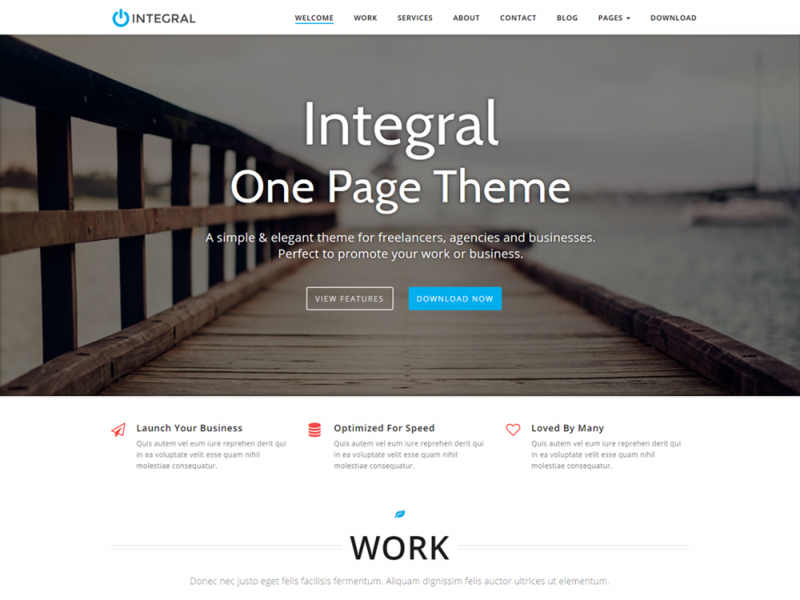 This theme has pages featuring the Call to Action Button displayed over the attractive banners. It has various personalization options that help you make the sections better such as the testimonial section, blog, etc. Being an SEO friendly theme, it makes your site appear on top in Google rankings. You can spread your website even on social media by using the social media tools in this theme. It is built using Bootstrap, Hence you will not have issues regarding the responsiveness of your website. 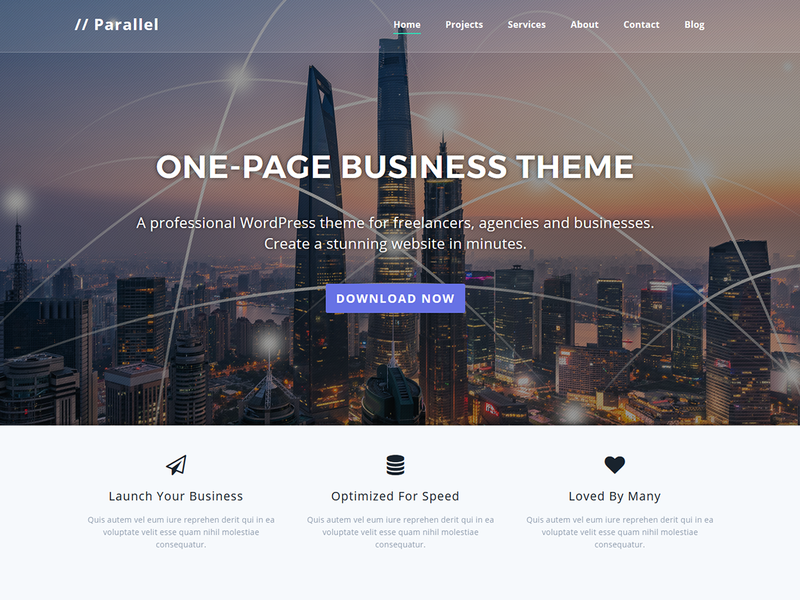 It Made using optimized codes, this user-friendly and professional theme offers faster page load time and an amazing user experience. 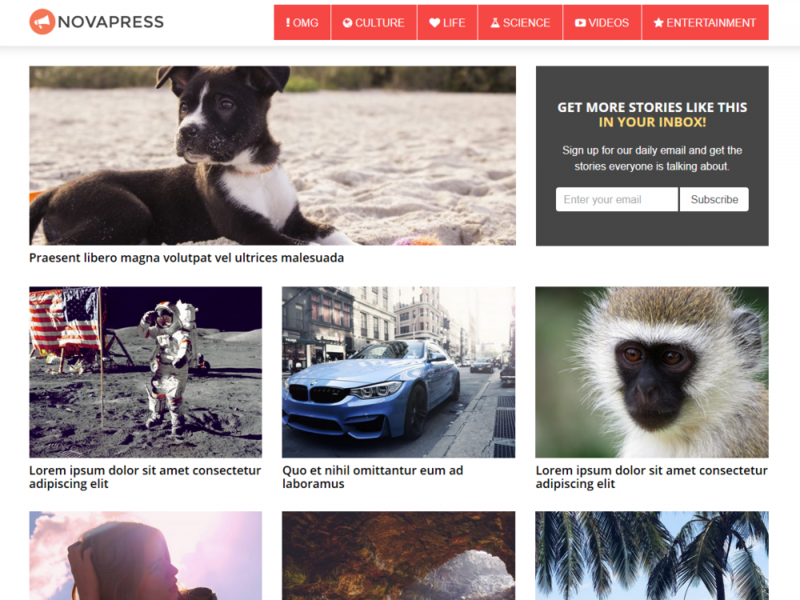 CoffeeIsle is a classy WordPress theme for online shops and blogging. It has a beautiful, unique interface providing a full-width parallax header, oblique post shapes, and a slide-out menu. The store section follows the same design lines, each product being displayed in a nice oblique form. The theme was built with e-commerce (WooCommerce) in mind, that’s why it comes with an alternative shop page which you can use on your site in case you like it better than the default template. 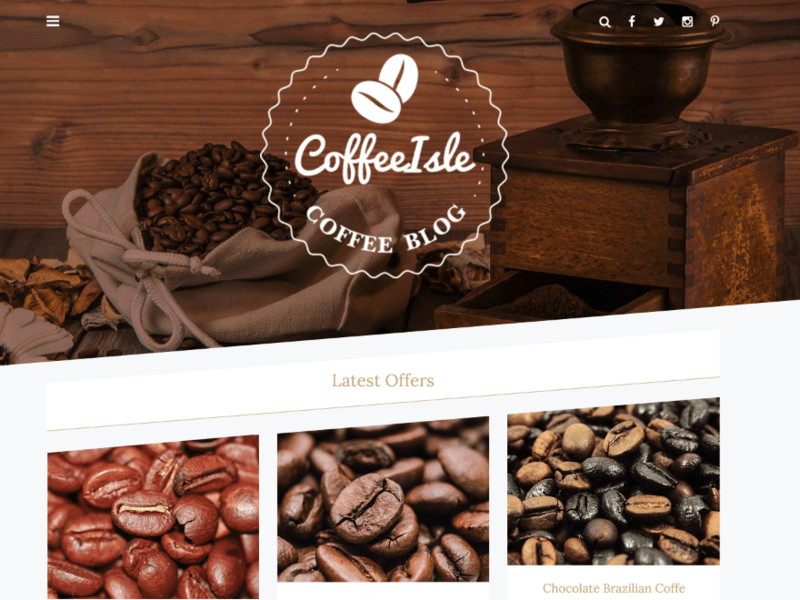 As for the features, CoffeeIsle is responsive, WPML ready, SEO friendly, and easy to customize. It also has social icons, custom fonts, video post format, and multiple color schemes: you can use 3 different colors at the same time to create beautiful contrasts – background, post/product boxes, and the oblique line under each entry in the shop and blog pages. 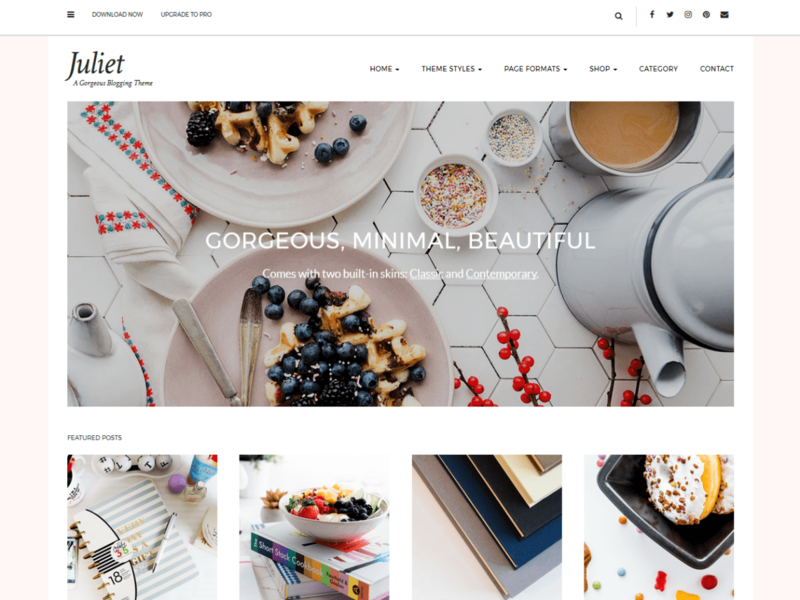 Juliet is a simple, elegant, lifestyle blogging WordPress theme. It comes with two skins: a classic feminine look, and a more contemporary minimalist look. Juliet comes with WooCommerce integration and a special front page layout with a banner and featured posts. Multiple widget areas allow you set up your website your way! It also comes with built-in menus for displaying your social media presence, multiple blog feed layouts, text and image logo options, banner color overlay options, and much more! It is also perfect to creat a simple business website. You can also use Juliet to build a gorgeous online store, with it’s awesome WooCommerce integration. Beautifully designed and extremely clean and light weight, Juliet is backed by world class, one-on-one support, and a super active team of developers and designers ready to help! Foodies is a clean and fully customizable premium WordPress theme for foodies or food bloggers who want to have blogs on food receipes etc.Though, it is not just limited to food bloggers, Foodies can also be used in developing other types of blogs like creative writing, photography, riding and what not ! It is easily customizable through Customizer. 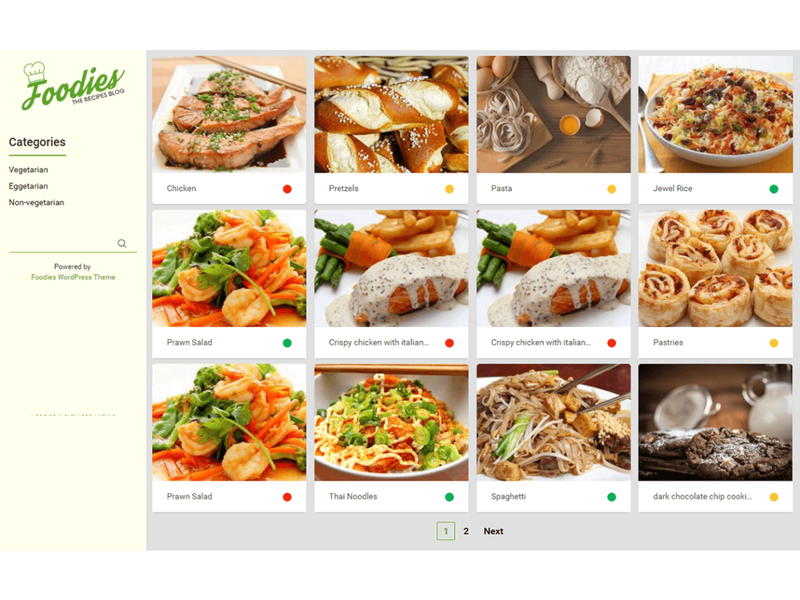 Foodies PRO is a Premium Version of the theme which comes with more powerful features and customization options. Restaurant and Cafe WordPress theme is a perfect solution for restaurants, cafe or any food and drink businesses. 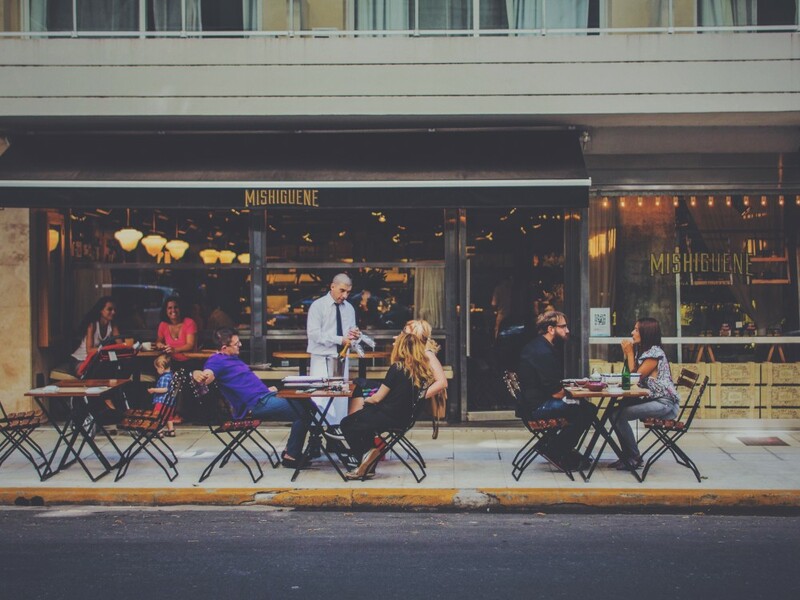 Whether you are running a cafe shop, a bakery or a large luxurious restaurant, Restaurant and Cafe theme will meet your expectation and give your customer a great experience! 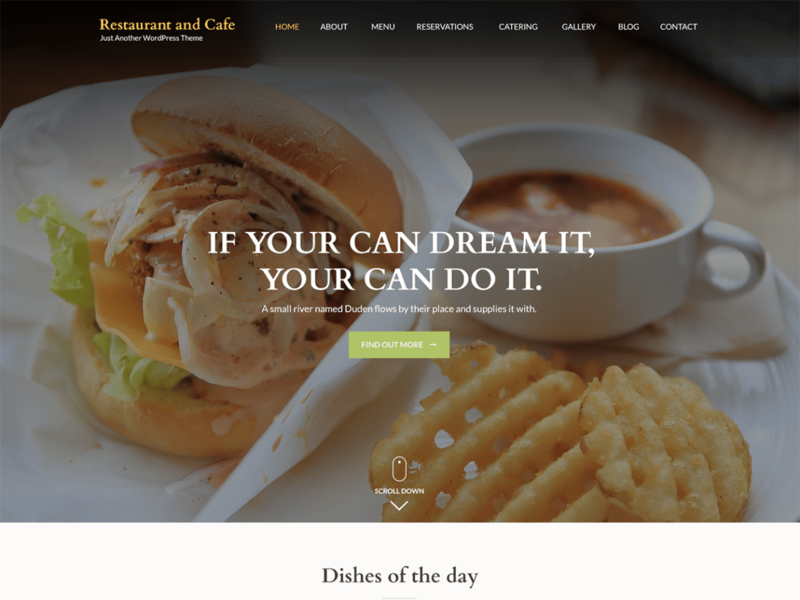 Restaurant and Cafe Theme comes with a Banner section, Feature section, About section, Services Section, Testimonial section, Restaurant Menu section, Reservation section and Blog section on Home or front-page. It is also WooCommerce ready and translation ready. The theme is responsive/mobile-friendly and so your website will look gorgeous in the mobile and tablet devices. 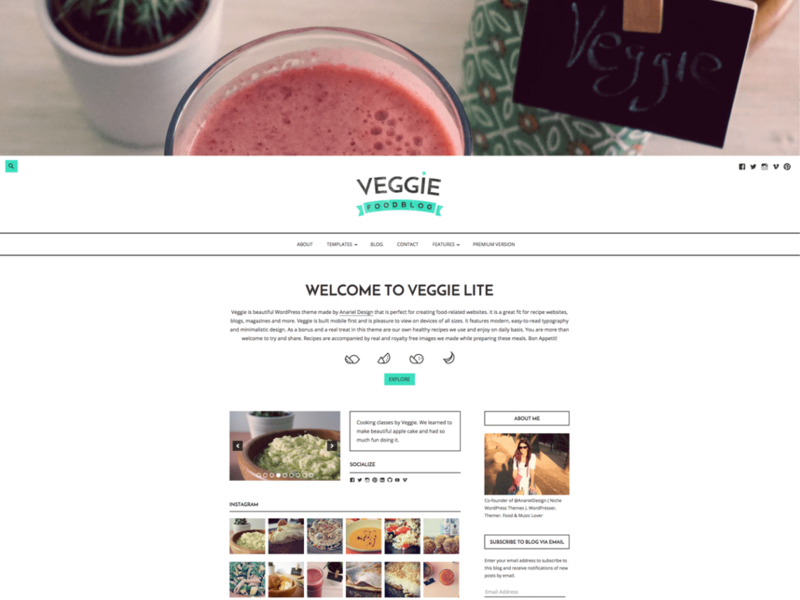 Veggie Lite is a lite & free version of beautiful premium WordPress theme Veggie. 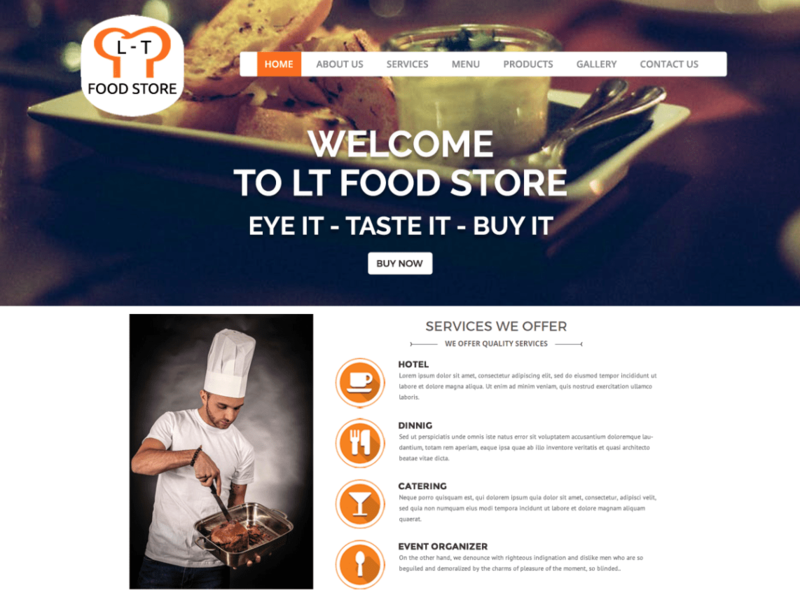 Theme is perfect for creating food-related websites. 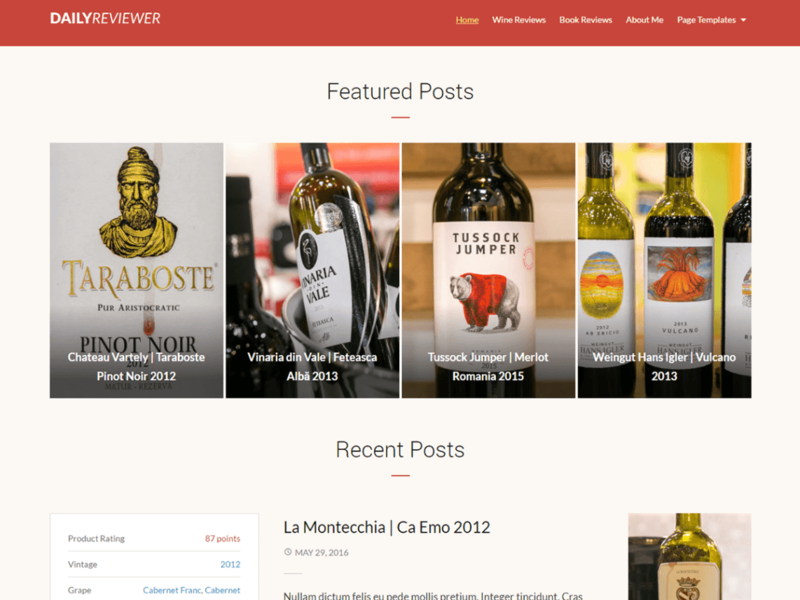 It is a great fit for recipe websites, blogs, magazines and more. Veggie is built mobile first and is pleasure to view on devices of all sizes. It features modern, easy-to-read typography and minimalistic design. As a bonus and a real treat in this theme are our own healthy recipes we use and enjoy on daily basis. You are more than welcome to try and share. Recipes are accompanied by real and royalty free images we made while preparing these meals. Bon Appetit!